Nearly every business has a social media account of some kind which means they need captivating and professional content to share with their followers. 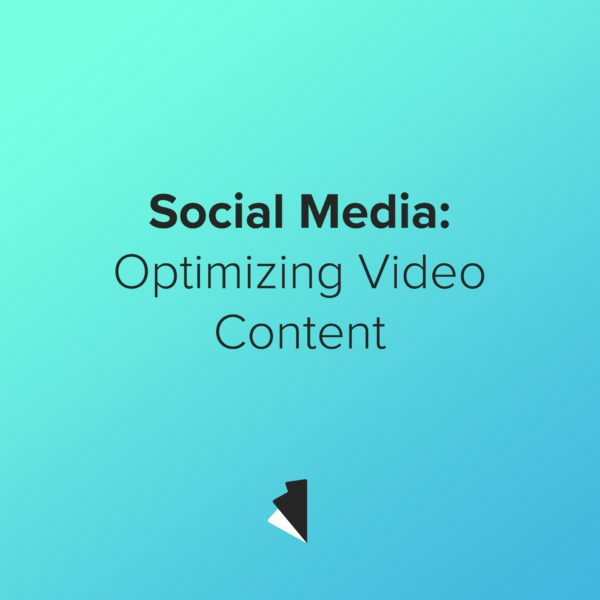 Each platform has its own strengths and limitations so here are a few tips on sharing impactful video marketing content on some your company’s most followed social media accounts. People are impatient, and that couldn’t be more true than on social media. Users aren’t willing to wait for the meaningful part of a video so don’t waste any time getting to the point. In fact, if you don’t capture the audience’s attention in the first 3 seconds it’s already too late. Most consumers view social media content on mobile platforms (particularly Facebook, Instagram, and Snapchat) which can have a big impact on how a video performs. Despite the importance of audio, many users don’t listen to a video, they just watch it. The lack of audio makes subtitles or captions more important so viewers can read along with the visuals. This makes motion graphic videos that include text a key tool for videos designed for social media. Like we said above, content has to grab viewers. That, however, doesn’t mean that your video can then continue on indefinitely. Keeping content short and interesting can lead to more viewers getting the entire message, not just the first three seconds. Not all video marketing campaigns have to use up all 60 seconds that Instagram currently provides. Each platform has its own limitations for video which are important to keep in mind when creating content. Instagram only allows videos up to 60 seconds long. Snapchat limits videos to 10 seconds and displays best if it is filmed in portrait orientation.